Finally, after nine months of waiting, Volkswagen and the courts had put forth a preliminary plan to respond to Dieselgate. Rumors of either buybacks or a “fix” had circulated TDIClub.com and many other automotive discussion forums ever since the scandal broke. Nine months was a long time to wait. It’s nice to finally have some answers, even if they are still subject to some change as details are solidified. I’ll not present the details of the settlement since there are plenty of other places to read about them. VWCourtSettlement.com is a great start. The image to the right shows that I currently have two options: Allow VW to buyback my cars or allow VW to “fix” them. There’s a third option, too, which is to do absolutely nothing and not participate in the settlement in any way. Some people will make that choice. Buybacks are almost a certainty at this point, especially for the “Gen 1” cars that don’t use urea injection. As of this writing in October 2016, VW has yet to present a “fix” for my 2014 Jettas that has been approved by the EPA/CARB. 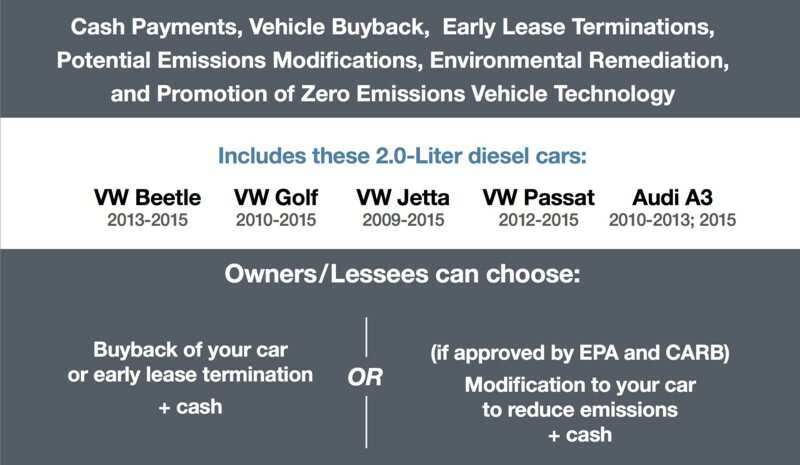 Volkswagen has until January 27, 2017 to submit a fix for consideration; the EPA/CARB will then have 45 additional days to accept or reject VW’s “solution.” Even if a fix existed, there are simply too many variables to trust that it wouldn’t have an adverse effect on performance, economy, and/or longevity… the three primary reasons why I’ve been a dedicated TDI owner since 1998. I understood some risks associated with purchasing a pair of 2014 Jetta TDIs. Although the rates of failure are statistically low, the list of potential problems includes catastrophic failure of the high-pressure fuel pump (which can cost $5000+ to clean/repair); the unmitigated risk of intercooler sludging and freezing (which can hydrolock the engine); and the clogging/cracking of the diesel particulate filter (which can cost $3500 and lead to EGR failure). Still, I chose to buy the cars because of the dedication and expertise of fellow TDIClub members. There is plenty of support and solutions for dealing with the problem areas there. Unfortunately, the most effective solutions are illegal. To be clear, just because my state doesn’t have emissions testing for diesels doesn’t mean it’s legal to remove the DPF, EGR, or catalytic converters. 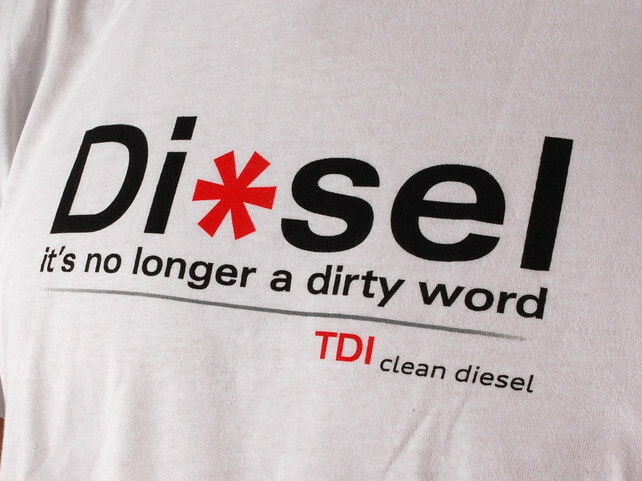 My morals on the issue were admittedly gray before Dieselgate. However, the new light which shines on diesels and their emissions has compelled me to be more cautious and aware of my choices, specifically the choices I make to improve the performance of my car. Can a TDI be tuned for improved power? Sure, it can! But it can only go so far beyond stock before illegal exhaust modifications and smoke emissions come into play. I could probably get away with a lot for a long time. But it is much easier to legally modify Volkswagen’s 2.0T; plus, it’s a more capable engine, albeit with lower fuel economy. I truly feel the same way about my Jetta. I’m just not convinced that a “fixed” car is what I really want. So what’s next? Both of my TDIs are unicorns of sorts. Each features a manual transmission (yes, some people still prefer them), a sunroof, improved seats, and can achieve over 40 mpg (my best was 55 mpg). They’re nicely-appointed, too. It is nearly impossible to find ALL of those features in any other car. Even with the “40 mpg” requirement removed, finding a car with a manual transmission AND a sunroof can be quite a challenge without getting into a sports car. Many automakers assume those who want a manual transmission don’t want any other luxuries. They’re wrong! I found a few candidates such as the Mazda3, the MINI Cooper S, and even the newly reconfigured Jetta SE. But I honestly like the GTI. I know the brand, I know the community and the support network, and I already have plenty of VW-specific tools. Yes, Volkswagen cheated. Dig deeply enough and you’ll find that most automakers have been caught up in one scandal or another over the years (or just haven’t been caught). I want a car that will please me. I think the GTI is going to do just that. 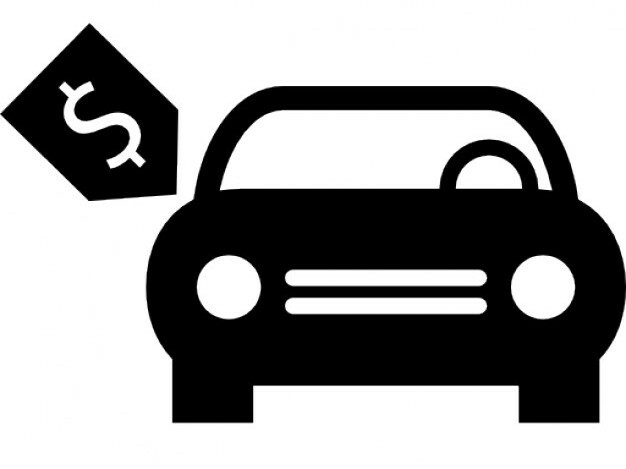 The loss of fuel economy will be the most obvious adjustment. I’ve averaged 41 mpg over the life of my 2014 Jetta TDI. My wife has averaged 36 mpg in her city-driven TDI. Those figures align with the majority of similar cars listed at Fuelly.com. Using Fuelly as a reference for GTIs, I can probably expect to average ~28 mpg, perhaps a little more, assuming I can control myself. On top of that, the GTI will run best on premium unleaded fuel. 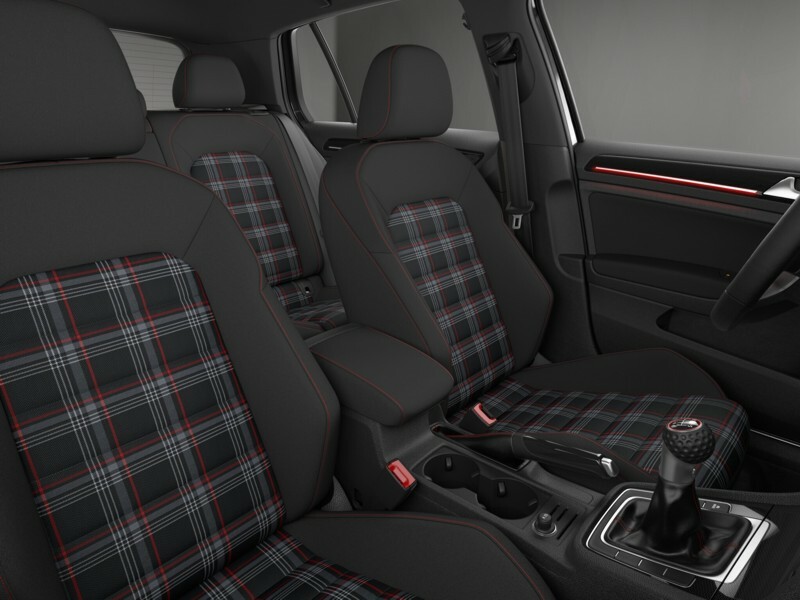 Operating costs will certainly be higher in the GTI. But I’m confident all of that will be worth the improved performance and additional pleasure I will get from driving it. 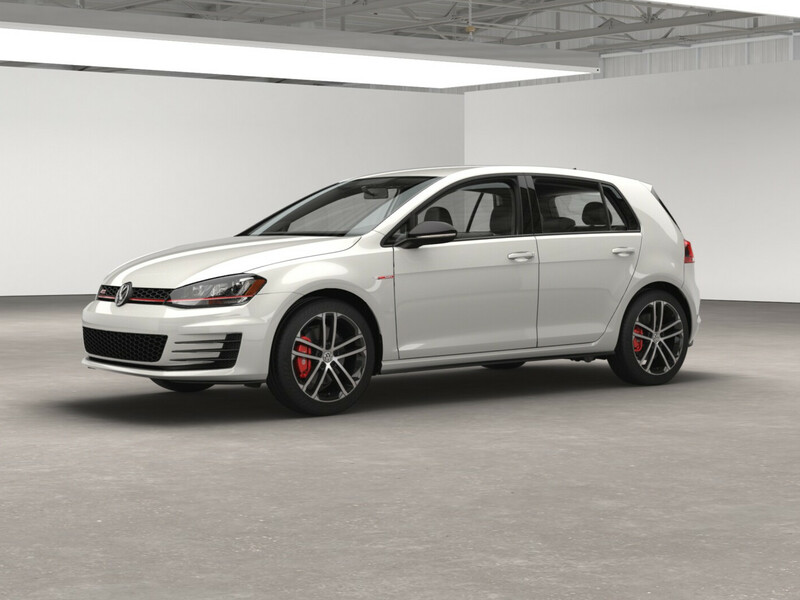 Even the base GTI in “S” trim is very nicely appointed and the 2.0T is a spirited engine, delivering an understated 210 hp and 258 lb-ft in stock form. The 258 lb-ft comes at just 1500 rpm; but, unlike with the TDI, delivers that pull throughout the vast majority of the engine’s range. 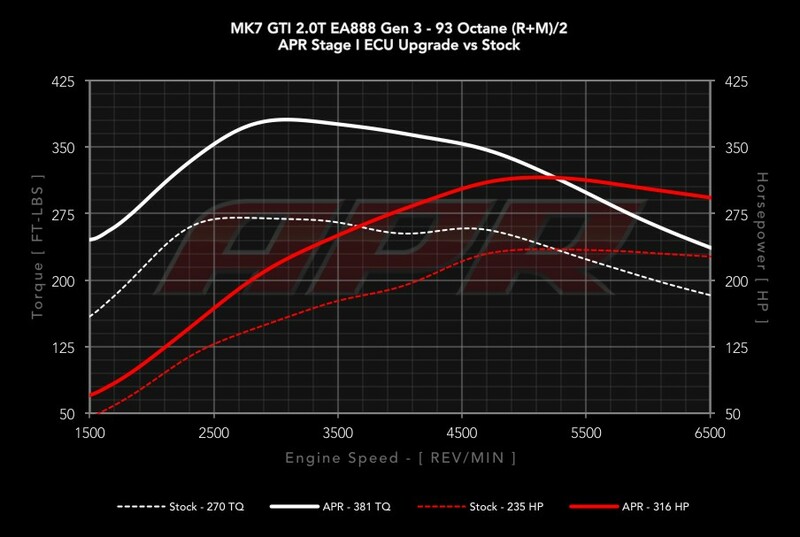 TDI enthusiasts, myself included, would be quick to point out the gains the TDI can achieve with a reflash of the ECU. Well, the GTI can be tuned, too; the results are spectacular: 316 hp and 380 lb-ft, 350 lb-ft of which is available at just 2500 rpm. The “low end torque” advantage of the TDI appears to have been narrowed by a great degree, with horsepower being eclipsed, too, all with just a legal tune! Like with a TDI, I could tune a GTI to beyond a simpIe tune, but I don’t think I ever would. It appears all I’m sacrificing is the cost to fill the fuel tank. 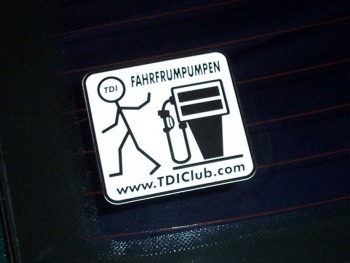 The only dilemma which remains after I move on to a GTI is my use of the moniker, “Stealth TDI.” It’s been my discussion forum identity for 18 years and StealthTDI.com has been a web presence since 2001. I may keep using it as a historical marker; or I might decide it’s time for something new. We’ll see. For now, I’m simply looking forward to putting Dieselgate behind me and then watching TDI trends to see what sort of future I have have lost or avoided. 😉 I will be sure to share photos and impressions of my new GTI when I finally have it. There you have it, the very long thought process which led me to a GTI. This article was a bit longer than what I normally share. I had a lot to say. I promise to keep future entries to about half of this (or less). This entry was posted in Origin Story. Bookmark the permalink.